2002 Result: Freudenthal wins 50%-48%. 2006 Result: Freudenthal wins 70%-30%. 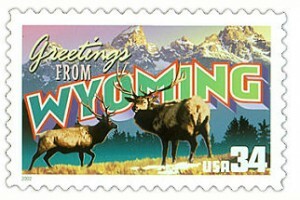 2) Wyoming – If Democrat Dave Freudenthal wants a third term, the conventional wisdom is that it’s his for the taking. So why would it appear as #2 on the SHR list? Although the governor is currently prohibited from running again by the state’s term limit restrictions most politicos in the state are awaiting word on whether or not he plans a 2010 run. In 2004, state legislators successfully challenged the term limits legislation enacted by a 1992 ballot initiative. The court did not include statewide officeholders in it’s decision. Many observers believe a Freudenthal challenge would be successful. The governor’s popularity (he won his 2006 reelection with 70% of the vote in heavily Republican Wyoming) and the state’s relative economic prosperity (although the decline in energy prices has begun to drive up unemployment numbers) insulate Freudenthal from potential damage such a brazen political move might incur in other jurisdictions. Thus far, Freudenthal hasn’t indicated his thinking on the matter. Until he does, the Wyoming race remains in limbo, with no one on either side of the aisle making any public moves about running. If he opts to run, this race would immediately move into a Democratic Retention column.